Nothing is new because our culture is saturated in nostalgia, and we believe that there is an ancient solution to our most modern problems. I think it’s naive. There is no old wisdom alone that will remedy the problems of tomorrow. Most of these problems are not recognizable because they are not intuitive to our very being, and as a result there are not “common sense” remedies. This video game trailer shows all of the problems that exist as a result of our inability to address our naive understandings of individualism, ownership, and ethics. The Higgs Boson particle’s (regularly called the God particle) ability to mend the “inconsistencies” of particle physics was identified as a theory to remedy the flaws in our Individualistic and Spiritually Conservative understanding of our actual “being”. From a mathematical standpoint, String Theory remedies this by offering a non-particle solution to our physical makeup. If anyone wants to have this conversation, I’m willing to make time to do so. I’ve consistently stated that the God ideal is spawn of our historic Individualistic understanding of our celestial and terrestrial existence. As we will continue to learn through identification of our physical connections. In my next book Essays exploiting spiritual disincentives for humanity, there is an essay titled Individuality and Individualism that established the differences between the ideal that we are rigid individuals in need of some governance, and the constant pursuit of individual development that it necessary for us to add value to the rational group interest. This is ridiculous. If a God is not of physical bounds or construction, it cannot have a particle. Lets be responsible people and own up to our real physical potential, because we live in a physical uni(multi)verse. I’m a bit taken back by the people who think that there will be a cultural or social revolution that liberates them from all of the oppressions, corruption, and collusive dangers that they identify as ailing their lives. It’s illogical (in my opinion) to think that a pervasive change in any or all societies will occur based on word-of-mouth campaigns and teaching alone. 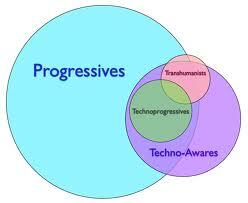 Only a change in technological solutions/availability can provoke some type of social constructivism. We can easily reference our recent history (past 3000 years) to evaluate how social constructivism alone has aided the socio-politically oppressed. With a transition from feudalism to communism to socialism to capitalism we’ve witnessed a premium of rent seekers being fulfilled and pacified in order to keep the relative order of the age before. There is no bohemian or retro revolution taking human kind back to the good ol’ days….because there weren’t any…lol; hence, the steadfast development of technological enhancements to our quality of life. I hope this post doesn’t come off as angry, but its annoying to hear the conservative and progressives alike argue for caution, and that there exists a possibility for old fashioned incentives to come about that inspire transparency, reliability, prudence, fairness, or anything of the like. Our development of technologies is our only hope to survive well.